Botanical Illustration Lesson Plan By Michael Spillane. Step-by-Step Instructions in PDF format. 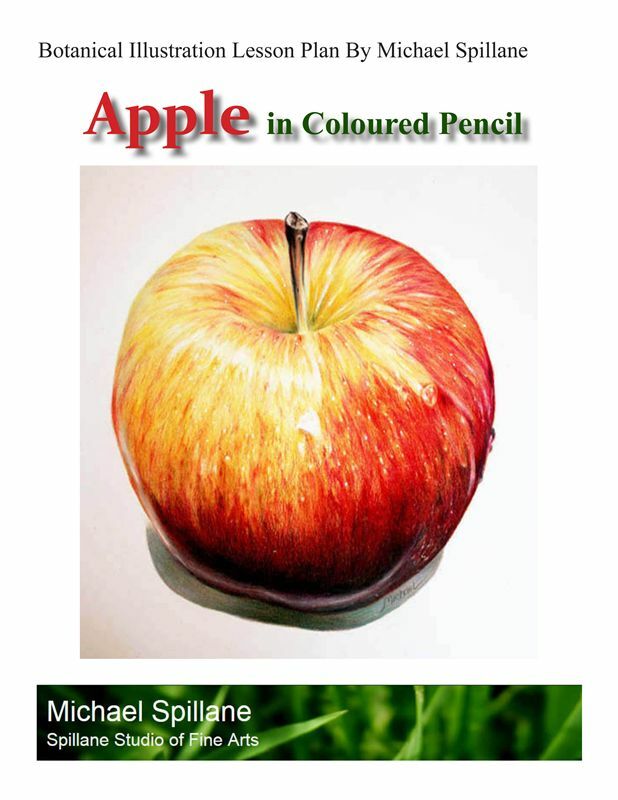 Create a realistic apple using Prismacolor coloured pencils. The project includes six detailed instructional pages, line drawing and materials list, and covers a range of coloured pencil techniques including layering, blending and burnishing.